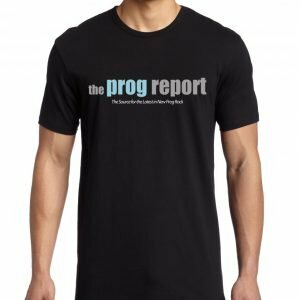 Review of RoSfest 2017 featuring Neal Morse Band, Evership, Änglagård, Edensong, Moon Safari and more. As we passed the summer solstice and the year dives headfirst into its warmest season after the longest day of 2017 is gone, I look behind at the musical experiences of these initial 6 months and reflect about some of them. Today, I’d like to write about the second longest running progressive rock festival in the United States, The Rite of Springs Festival, also known by its shortened-name: RoSfest. 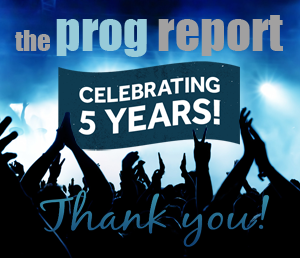 The brainchild of George Roldan, this event has firmly established itself among the most important worldwide celebrations to acclaim the progressive-rock music as a thriving sub-genre. 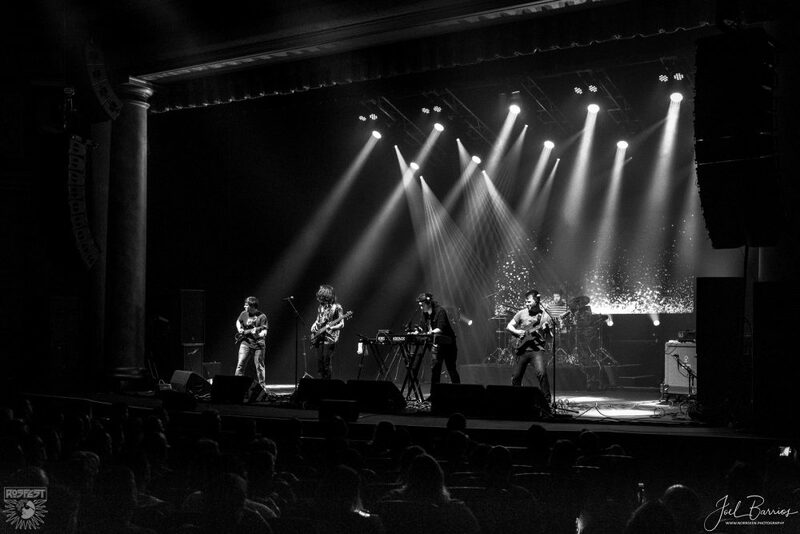 On its 14th edition, and dubbed as “The US Premier Prog-Rock Celebration of the Year”, RoSfest once again brought together prog-fans from every corner of the globe, who gathered together during three consecutive days under the roof of one of the greatest venues I’ve had the pleasure to visit, the stunning Majestic Theater in the heart of Gettysburg Pennsylvania. You might wonder why I am writing this article after more than a month, and there are couple of good reasons: firstly, this year I was vested with the honor to be the festival official photographer and I tried to do my very best at capturing what happened during the last three days through my images, hence I kept working on all the pictures galleries for many days after the event was over. Secondly (and frankly, the main reason) is that being able to look back at all the fleeting moments seized by my cameras and reflected in my shots have re-enacted the lingering memories of another memorable weekend filled with great music and even better friends. Describing in details the performances of each individual band would probably fill out pages, as the common denominator of the event was over-the-top musicianship and professionalism from each one of them, so I’ll do my best to keep the article concise and short. And please, remember that this is just my opinion, music is a subjective listening experience and my thoughts are no more valid than yours if we are on opposite sides of the fence. 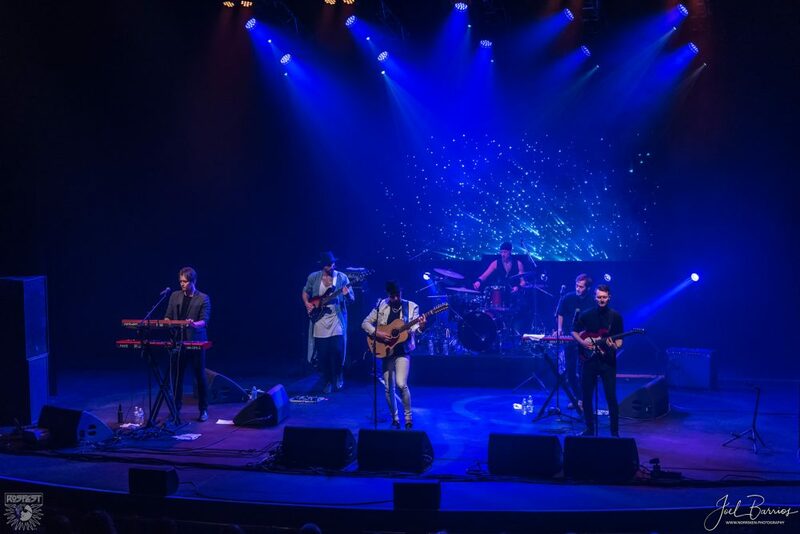 The event’s festivities were opened by KYROS, the novel five-piece progressive rock band from London (formerly known as SYNAESTHESIA). 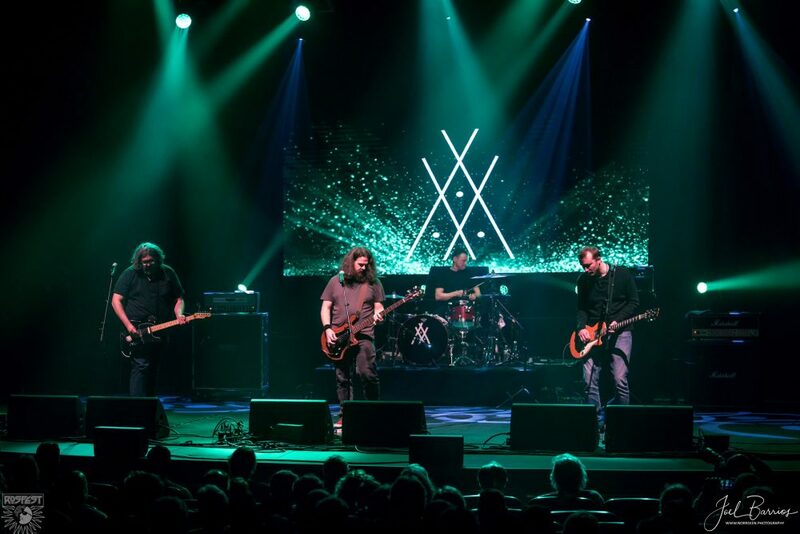 They had played the festival two years before (that time under their previous moniker), and found themselves amidst a US tour supporting their last album “Vox Humana”, which was being played in its entirety at every show. You can perceive influences in their music from acts such as FROST, PORCUPINE TREE, MUSE and PAIN OF SALVATION; however, nothing farther from reality than categorizing them by the aforementioned bands. KYROS has progressed and evolved at an incredible pace, and led by the impressive stage presence of both, vocalist and main songwriter Adam Warne and bassist Peter Episcopo they served a one hour and 20 minutes kaleidoscope of musical chaos during: straight ahead heavy-prog with beefy twin guitar attack paired with beautiful melodies, carefully harmonized and constantly evolving to keep the creativity flowing throughout the whole set, which pretty much felt like one long beautiful song with all kind of musical variations and a spectacular finale. If KYROS opened with a very high note, MOON SAFARI closed the first night on another. Their golden vocal harmonies (You might be remembered of STYX, MANHATTAN TRANSFER, REO SPEEDWAGON, BILLY JOEL, etc.) deeply rooted in the European harmony vocal tradition with some strong jazzy overtones on some parts, multi-layered instruments, thick vintage Mellotron, and lush arrangements commanded the theater audience and sent beautiful, uplifting, pleasant and positive waves in every direction. If in their albums they continue to meet their own particular and exceptional high standards, their shows are no exception. Someone described their music as QUEEN meets BEACH BOYS meets KANSAS meets ABBA and a bit of GENTLE GIANT on moogy keyboards, and to these ears this is a blissful and winning recipe. During their lengthy set which spanned through their entire discography, the sextet received several standing ovations and watery eyes were seen amongst the audience. The second day (and first one to feature four bands), started out with THE AARON CLIFT EXPERIMENT. I must confess this band had flown completely under my radar, so I wanted to see why George had picked them up to be part of the festival ranks. 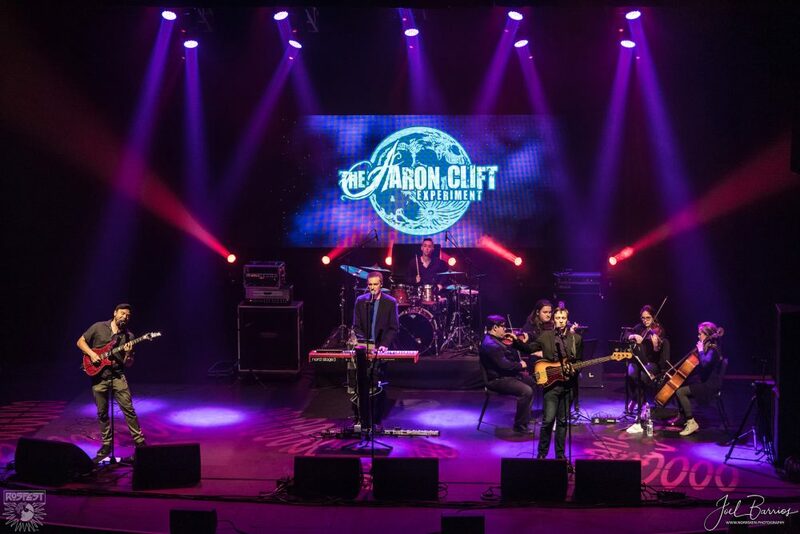 Aaron Clift (a crazily tall guy, one of those who would make one feel like a dwarf) is the central figure, being the vocalist, keyboardist and main composer of the band’s music, and he sounds a lot like Echolyn’s Ray Weston (which is obviously a great thing). 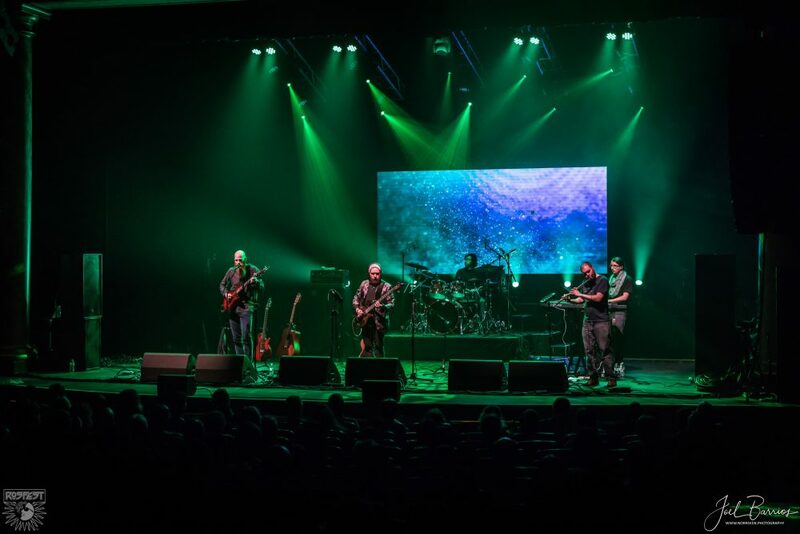 Their stock in trade is an intricate, subtle, and broad style of melodic compositions with raw passion at its core, songs with a classic rock nucleus embellished and augmented by progressive rock overtones. 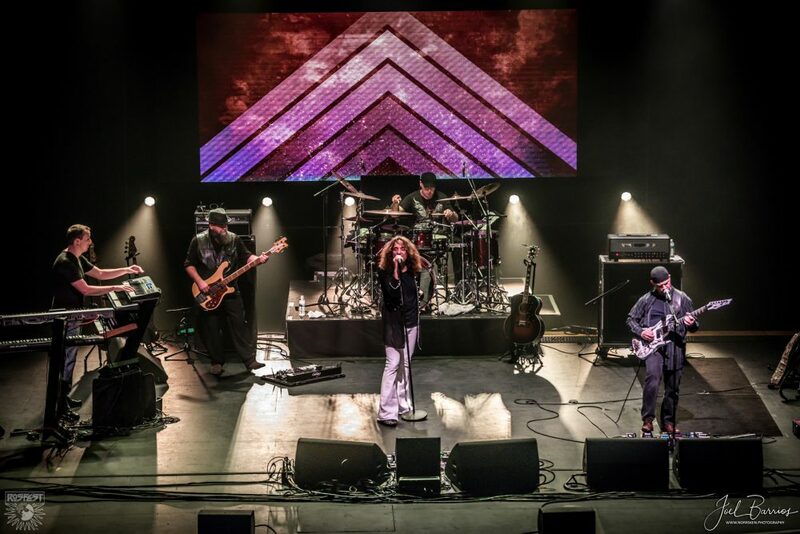 Drawing musical influences from the Gods of the genre (GENESIS, PINK FLOYD and RUSH came to mind) through inspiration and not pure imitation, these guys offered an exciting and very well executed performance, so it seems we can have Texas-style prog after all! Unquestionably a band worth listening to, I will make sure to pick up their second album “Outer Light, Inner Darkness” which was called “an impressive sophomore outing” by Prog Magazine, and “gorgeously emotive” by Progression Magazine amongst other raving reviews. UNIFIED PAST took the stage at 2:00 PM fronted by Phil Naro, best known in the music world as the mic-man for Billy Sheehan’s band, “Talas”. I first knew about him when I bought “Second Sound”, a wonderful album by the Canadian based band DRUCKFARBEN, and once again when discovered “Through The Turbulence”, a 2014 exceptional eclectic prog-rock record by the Venezuelan band BACKHAND (which I wholeheartedly recommended to anyone reading), where Phil was the lead singer. Despite the band’s history being traced back to 1990 and a band then called LABYRINTH, they have revitalized and practically have come across as a new entity, their music now bearing a taste of symphonic heavy metal but with a positive vibe like Yes and Glass Hammer, which can be bombastic and very complex at the same time. Guitarist Stephen Speelman’s bright and dynamic guitar tone excelled throughout their gutsy combination of heavy riffs, symphonic synths and confident rhythm section, at their best on the longest of tracks when the band breaks most strikingly into the arrangements with structural variations and acoustic interludes. They also achieved an extra point for respect in my book since they performed after replacing their keyboardist only a month prior to the event, instead of taking cancellation as the easy way out. Their set included material from their 2015 record “Shifting The Equilibrium” which depicts gorgeous artwork created by international fantasy artist Ed Unitsky, and would be a worthy addition to your ever-growing musical collection. A surprise VIP performance had been announced in the 5 PM time slot, and materialized in the form of UNIT D.B. a one-off live band made up by the combined forces of Mark Truey Trueack (vocals), Sean Timms (keyboards, vocals) Danny Lopresto (guitars, vocals), Brody Thomas Green (drums, vocals), and Steve Unruh (flute, violin). Basically, an amalgamation of UNITOPIA, SOUTHERN EMPIRE, RESISTOR and SAMURAI OF PROG. UNITOPIA were supposed to play the festival back in 2010, but sadly, they broke up before they could, hence this specific show was a kind of a long overdue apparition by the Aussies. I was impressed and really enjoyed their presentation, despite not being familiar with UNITOPIA’s back catalog or any of the other splinter bands. 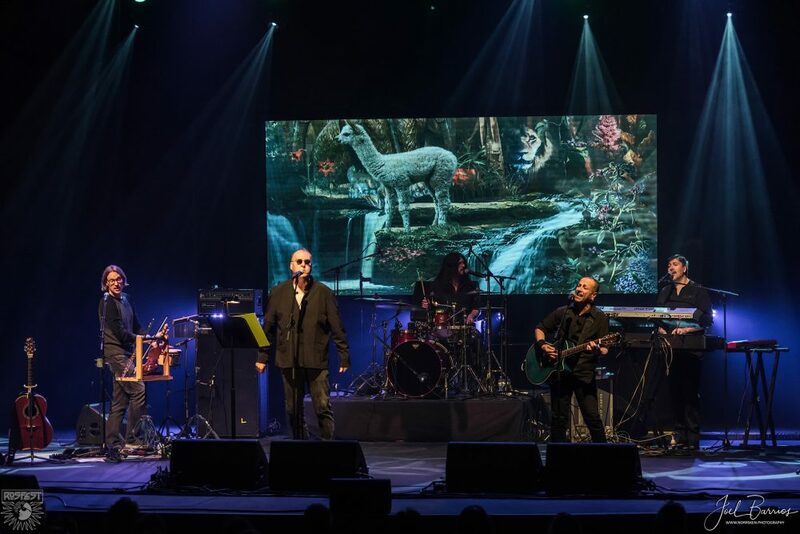 Gorgeous anthemic melodies which made a great contrast with the metallic edge of the previous show, Mark’s voice was warm and spot-on, and Steve Unruh added a myriad of soundscapes to the songs, playing strings, woodwinds and several other instruments. Provided in the form of flawless musical execution (after apparently only one actual rehearsal, which is additionally remarkable) their music had the ability to take you away somewhere else and at the end of the set soothingly bring you back to your seat. A pending schoolwork is now my necessity to explore further into the former history of these fine musicians while truly hoping they decide to put out a live recording of their set. 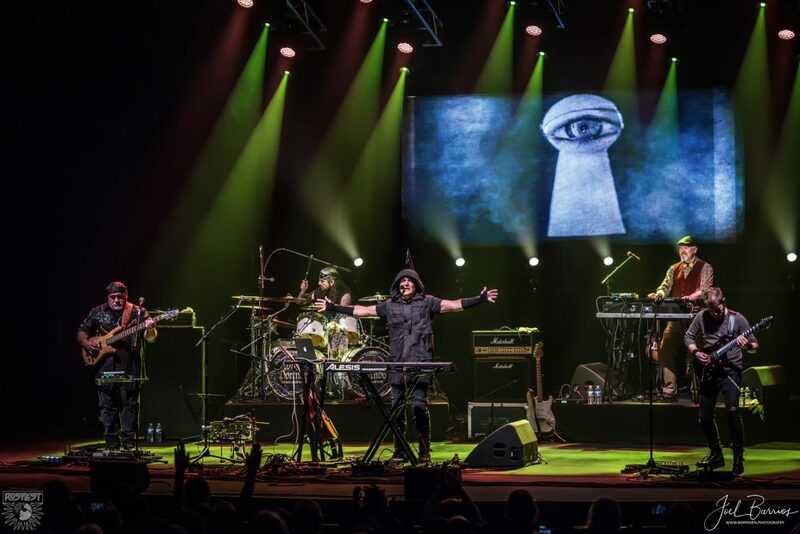 To close Saturday night, George had announced THE NEAL MORSE BAND as early as the last night of 2016. Neal and his bandmates released their latest album “The Similitude Of A Dream” this year, the second under the same band moniker and with the same formation of Eric Gillette (guitars) and Bill Hubauer (keyboards, vocals, sax and everything in between) alongside lifelong partners in crime Mike Portnoy (drums) and Randy George (bass), and the album really took the band to a whole new level and topped the progressive rock lists in many magazines worldwide. Being very familiar with Neal and Portnoy musical collaborations (Transatlantic, Flying Colors, etc.) and after beholding the band a couple of times during this very same tour, I knew their set would be a towering experience. I was surprised to note that due to the religious nature of the musical direction Neal has gone after he left Spock’s Beard, some considered him as the elephant in the room. Nonetheless, he had the largest crowd of the weekend by a fair margin, fact I can attest as I moved constantly up and down the stairs and aisles to get the best vantage points for my shots, so it seems the audience was unquestionably not bothered by the Christian message carried out by the music. Neal’s band presented the entire “The Similitude Of A Dream” album from start to finish with all the magnificent theatrics and splendid rear screen projections created by collaborator and visual artist Christian Rios, and once again they proved this band is no longer the sum of its parts opposed to Neal’s earlier solo tours, but a rock solid entity firing on all cylinders. Progressive, heartfelt, powerful, and rocking are some adjectives I could use to describe their show, with Neal showcasing real joy while unleashing his inner Peter Gabriel as he wore a variety of outfits and changed masks throughout the show to correlate with the different characters and events described throughout the album’s story; meanwhile his bandmates presented one of the most scorching and tightest performances of the event. Their exemplarily pristine and accurate spectacle encountered some hiccups, in the form of gear and practical issues, and by the end of the last song of the initial set, Morse’s computer went blank and died. While the techs were trying to figure out how to get his computer back on, he had to play the very end of the last song on acoustic guitar. Since they could not get off stage for the encores Neal said: “Well, anybody have any requests?” And somebody called out “We All Need Some Light” (A heart-touching ballad off the first Transatlantic album), so he played a little of that until the computer came back online… and then they closed out with “The Call” from their previous album “The Grand Experiment”. An overall fabulous performance (and one of the favorite sets for many I spoke with during the following days), paired with a real display of grace under pressure. The last day was here and many were worn-out after prolonged hangouts at the hotel lobby for two consecutive nights (myself included). THE FIERCE AND THE DEAD were the openers, and boy, did they shake the house down. One of the best part of festivals of all musical styles is finding the band you never heard of and having them lobotomizing your skull. 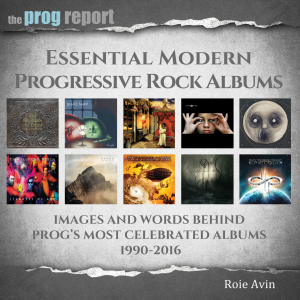 A true “Church of Prog, Wake-up Band”, these Brits combined post-rock picking with some brutally heavy riffing, flirting out with heavy-metal. Firm, vibrant passages alternated with ones with a looser, more open nature, occasional dipping into punk. Their all-instrumental sound could probably loosely be filed under the “Post-Rock/Math-Prog” category, yet it revolves around being non-conformative, sophisticated challenging, and intriguingly primitive sounding at times. I must say they were the perfect band to shake off the accumulated tiredness, establishing a great rapport with the audience. Tight musicians that know each other well, I was gladly impressed by Stuart Marshall’s relentless and at times maniacal way to pound his drumkit. My dear friend Octavia Brown who is behind the organizational team of the 2Days Prog + 1 Festival (a wonderful free-admission progressive rock celebration happening in Veruno, Italy every September) visited the US to enjoy her first dib at RoSfest and fell in love with these guys… even though they are Arsenal’s fans! I was very much looking forward to the EVERSHIP set, as their eponymous album from last year knocked my socks off at the first listen. Sean Atkinson and company had only played live two times prior to RoSfest, and while setting up the extra video cameras to help them record their performance I asked myself how nervous they could be before hitting the stage. They had all sorts of cool toys in their setup: a Theremin, a pink double-neck bass and even a CP-80… Curtains raised and technical difficulties made presence since the very beginning, but that did not prevent them to crank out their lyrically adventurous symphonic prog-rock, layered with acoustic guitar textures and adorned with a precise amount of heavy edge. They have an insanely gifted vocalist in Beau West with loads of prog goodness, and the songwriting, the lyrics, and vocals have a synergy that makes their music to stand out. Bombastic symphonics combining some Queen influences, highlighting rocket-propelled crunchy guitars and over the top lead vocals that tilt closer to opera and heavy metal, all shielded within a tight score with fluctuating arrangements and impossible to predict what is next down the pipes. Have I said I was in heaven? But wait, there was more… Since they have only one album out they needed to fill the gap in their set with a couple of covers… so they threw in two exciting renditions of STYX’s “Suite Madam Blue” and KANSAS’s “Portrait (He Knew)” which made the audience to clamor and applaud at unison. I will not say this is a band that will go places, as I believe they already set sail! I had seen EDENSONG last year at Progtoberfest II and I knew what to expect. This band has come a long way in the last 8 years or so and have improved immensely as a live band. The material from “Years In The Garden Of Years” is much darker that “Fruit Fallen” and it comes across exactly that way in their live shows. 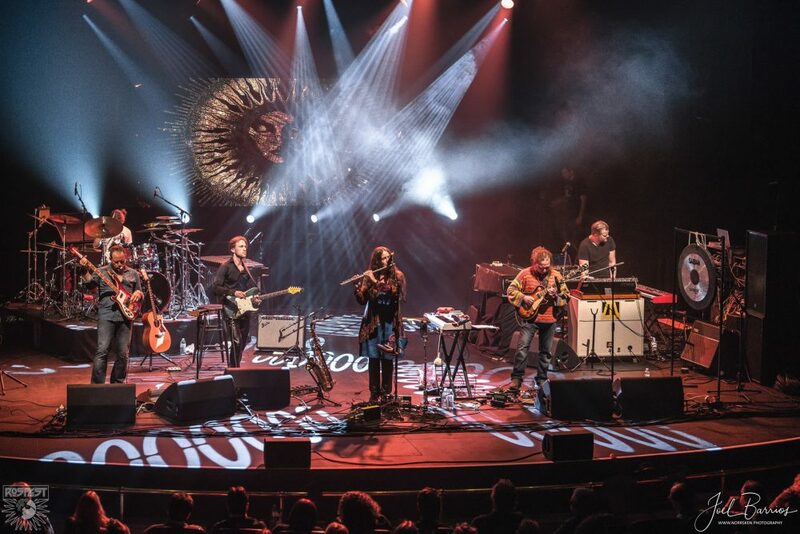 Their musical palette is very hard to pin down, some passages come across as what could be the unborn child of Jethro Tull and King Crimson, while some others have a more eclectic nature, filled with expressive, memorable and playful variety. 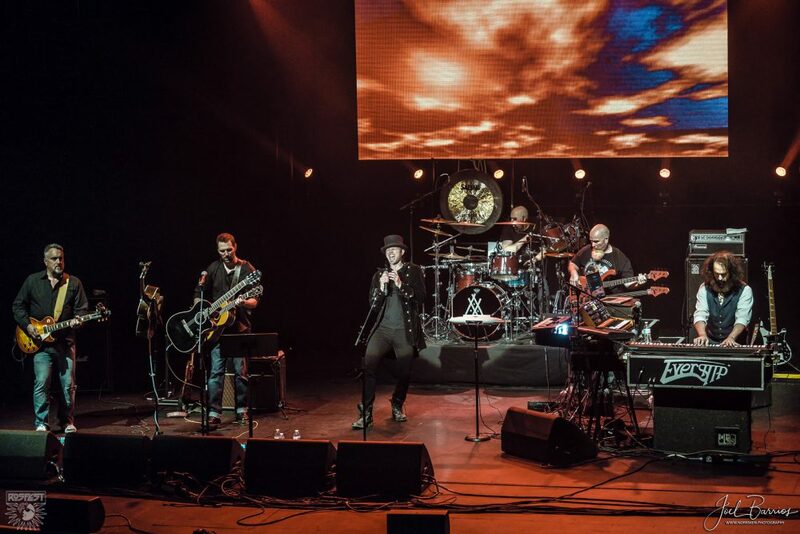 Their song structures sometimes reminiscent of the best of Genesis, also find familiarity with the mellotron sound and ofttimes whimsical nature of the transitions. A mixture of old and new, intricacy and aggression, the music features the flute in additional and compelling ways, wrapped with an extraordinary rhythm section full of driving base and Tony Waldman’s exquisite and varied drumming. There is enough complexity in EDENSONG’s music to leave you light-headed, but don’t let that prevent you from revisiting their albums. The final band for the night and the one to close the festival was ÄNGLAGÅRD. Everyone who knows me, knows they are my personal friends and one of my all-time favorite bands, therefore I won’t delve much into describing their performance, as I don’t want to sound excessively biased. Their set was divided in two parts with a short intermission which was actually a misunderstanding, as the initial idea was for them to never leave the stage. The first part consisted of songs spanning their second album “Epilog” and their third “Viljans Öga”, on which they did a magnificent job. Then for their second set they played their legendary first record “Hybris” in its entirety, using the giant video wall in the back to display visuals allegoric to the song thematic, and for whatever inexplicable reason, the band seemed even more cohesive and inspired during those four songs, nailing every note in some sort of uncanny manner. Änglagård’s music is not for everyone; you either love it and enjoy how it fries your brain or simply don’t understand it at all. It goes beyond complexity and challenges; it pushes the boundaries of your pre-defined conceptions of harmony and structural compositions. As I described myself once: “A sonic rollercoaster of aggressive music in odd meter, subtle parts and melancholic beauty, building suspense and abrupt stops, with a wondrous interplay of sounds”. For some it doesn’t click, but I know many were blown away and considered their virtuoso show an exceptional way to end the festival. I know, I know, I said I would be brief, but hey, you read all the way to here! Is difficult to put such a large amount of happenings in black and white without writing a bit too much. A curated selection of sound coming from some of the best progressive bands in the planet, and running with Swiss clockwork punctuality, RoSfest continues to set standards in the way an event of such magnitude should materialize. Obviously it is impossible to please everyone, and I’ve heard opinions about the line-up lacking avant, zeuhl, krautrock, space, electronic, and fusion acts. While I respect everyone’s opinion, I can tell you that putting together an event of this significance is far from being your regular 9 to 5 job. There are so many variables and moving pieces, such a huge logistic to handle and so many details to nail like most of us have no idea; it could easily be the subject for your next never-ending nightmare. In my opinion the team led by George and his wonderful wife Beth continue to outdo themselves year after year, and they deserve the highest praise for their dedication and countless efforts to overcome any difficulty and keep offering their loyal attendees such an exciting and fulfilling and mind-blowing musical experience. Next year is their 15th anniversary, and I know George is “cooking” something special, so don’t say I didn’t warn you!